One of the most critically-acclaimed games of all time The Legend of Zelda Ocarina of Time is making a return, this time in full 3D - without the need for glasses - and exclusively to Nintendo 3DS. The Legend of Zelda: Ocarina of Time 3D comes to Europe on 17th June, 2011. Guide Link – a young boy who is tasked with saving the land of Hyrule from Ganondorf, the Gerudo King of Thieves. The evil Ganondorf is intent on gaining mastery both over the land of Hyrule and time itself and he is led by his ambition to overthrow the current Royal Family of Htrule. It is up to Link to stop him in his tracks as you guide him on a magical journey through time. Explore vast landscapes, mythical temples, dungeons, towns and villages, as well as interact with many different characters and battle various enemies – all in 3D. The game’s original control scheme has been completely re-designed to fully make the best use of the capabilities of the Nintendo 3DS system. Players will be able to control Link by utilising the Circle Pad whilst the Touch Screen of the Nintendo 3DS is used to assign items, check maps and ensure that Link is wearing the appropriate equipment - all in a fresh and intuitive way. Players can also take advantage of the in-built gyro sensor of the Nintendo 3DS; the implemented motion controls allow you to look around your environment when in first person perspective simply by physically moving the Nintendo 3DS system. Not only does the fully-3D gameplay experience provide easier in-game navigation, but an improved and intuitive interface gives you better control as you solve puzzles, travel through time and explore the immersive land of Hyrule. 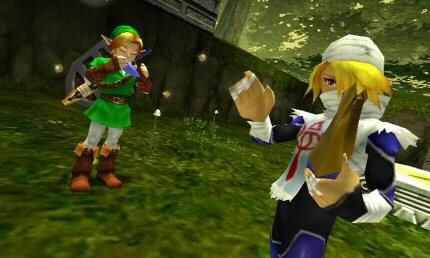 Players not so familiar to the Legend of Zelda series can also get a helping hand through bite sized videos available in-game which will provide hints on how to solve puzzles encountered during your journey. 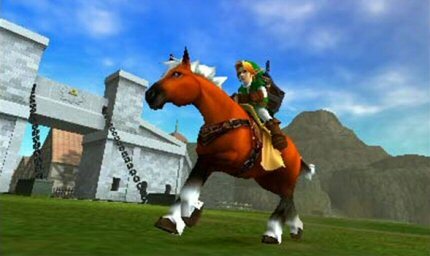 Fans of the original game will be pleased to know that The Legend of Zelda: Ocarina of Time 3D also heralds the inclusion of two brand new additional challenges not available in the original game; Master Quest and Boss Challenge. Master Quest mode will see some surprising changes to the game. Puzzles will have to be thought about and solved in new ways from the main Story mode, whilst items and enemies will be found in different locations. The land of Hyrule has also been reversed as locations are mirrored - so what would ordinarily have been on the right now appears on the left and vice versa. Enemies will also prove more difficult to beat, and as such the greater complexity involved in this new Master Quest will test the gameplay abilities of even the most seasoned fans and prove a new experience for all. The new Boss Challenge mode acts as an extra treat for those players who reach a certain point within the game. It will provide players with the opportunity to face any of the previous Bosses they have defeated once again, or, the option to face and confront them one-by-one, all in a continuous battle. The Legend of Zelda: Ocarina of Time 3D launches across Europe, exclusively for Nintendo 3DS, on 17th June, 2011. Cant wait for this - Zelda and Starfox are the 2 reasons that I bought a 3DS..roll on June!